Iain Duncan Smith MP joined 450+ landlords and investors for the return of the Expert Property Panel, held at the flagship National Landlord Investment Show Tuesday 7th November 2017, to give his take on the coverage surrounding Universal Credit. The show has hugely grown in popularity and is now a must attend event for UK Landlords. It is hugely popular and gets bigger every year. One of the key features is the quality of guest speakers. IDS stated that he has spoken to the Chancellor both privately and publically about the need for change for UK Landlords, he points out that we won’t know if this has been taken on board until the Autumn Budget is released and he encouraged the audience, largely Landlords, to write to the Chancellor with their thoughts and fears before November 22. Iain also spoke further about Universal Credit, tax changes and which conditions can work in the favour of the landlord now and in the future. Marie Parris, industry speaker and MD of George Ellis Property Services, presented the debate and spoke to Iain Duncan Smith about whether he thinks Universal Credit is actually working. With landlords having to wait 6 weeks or more for payments, claimants beyond despair, having no money to feed their families, or even a bus fare to travel to an interview, what does he say about it? The press coverage certainly doesn’t communicate a successful rollout. We’ve even had reports of Nick Forbes, leader of Newcastle City Council who said he believes the country is on the verge of a housing crisis as a result of UC. Iain’s reply was that we have currently got the lowest number of workless households in living history in UK and the rollout is careful and slow deliberately, in order to make changes along the way. He stated the fact that only 5% in welfare are on UC currently as testament to this. The idea, he says, is that UC allows the merger of a number of benefits together on a more efficient digital platform – and the problems have been caused by the fact that 60% of people on UC at the moment are already in debt, so this has caused the issues that landlords face, not necessarily the system itself. He mentioned the advisors, via Universal Support, that stay with the tenants to combat this via debt reduction programmes etc. for a smoother future. A key issue stated by landlords at the panel is that they don’t have visibility as to who is on benefits or not – and don’t know whether they want to rent to those on UC because of the risks involved. Iain’s solution is that the next phase will be able to help them see this information via a new portal in the next rollout phase. The idea is that if there are issues, they can be placed on direct payment immediately. Arrears clearance in theory should clear quicker that on housing allowances. There was a feeling in the audience that landlords were unable to get the money from the tenants on UC, as they were told in some cases by local councils that they would be given a council house as soon as they were evicted from their private accommodation, so there was no incentive for them to pay their rent. Will this have changed by the next rollout of UC? 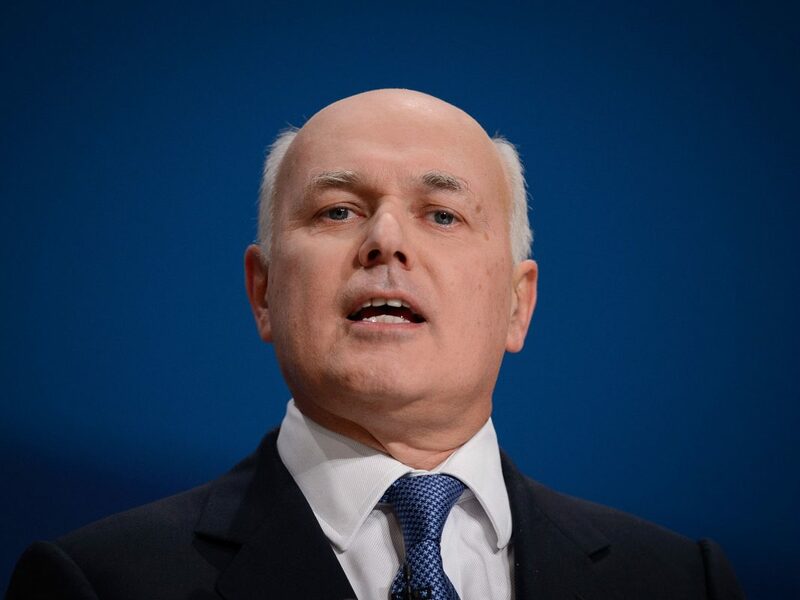 – Iain Duncan Smith certainly thinks it will and UK landlords sincerely hope so. The event also saw over 100 Property related services exhibit, in addition 37 seminars on a broad range of subjects in PRS were delivered throughout the day including a packed auditorium with David Smith, award winning Economist Editor of The Sunday Times, who delivered an outlook for Landlords including, interest rates, Brexit and the budget. Landlords were delighted with the services and advice that they received.